We would like to invite you to attend our event, aimed specifically at the Not for Profit sector. The lunch will be held at The Hive, in Birkenhead, on Thursday 2nd May from 12pm – 2pm. There is no cost for attending and lunch will be served. The theme for this lunch is 'Collaboration & Sustainability' and is most relevant to CEO's. We are delighted to be joined by our speakers; Adam Mellor, CEO of The Hive, and Alison Hill from Capacity Public Services Lab. Adam will discuss the Onside YouthZones 4 way partnership approach with local statutory partners, private and business sectors, the community and of course the young people. He will explain the approach and give specific, key examples of how and why their collaborative approach has worked at The Hive and how the model is achievable for any 3rd sector organisation. As an added bonus, we are lucky to also be joined by Alastair Richards, CEO of North West Cancer Research, who will informally add to the debate with his own case studies and experiences on the subject. This event is held for the Not for Profit Sector and there is no cost for attending. The theme for this lunch is ‘Fraud Awareness and Cyber Security’ and is most relevant to CEO’s. As usual, we are limiting places to just 20 people, which ensures that the format of the lunch is as informal as possible, creating an open forum for discussion and networking. We are delighted to be joined by our speakers, who include Helen Potts and Darren Kewley. Helen is a fraud awareness analyst at RBS NatWest, and Darren is a networks and cyber security specialist at Protos Networks. Helen will discuss the current top threats seen by the not for profit sector and the pitfalls to avoid. She will include threat examples and case studies of real situations and will share key steps to take to help better protect your organisation. Darren, the co-founder of Protos Networks, will discuss how to defend your organisation against cyber-threats. He has provided technical and consultancy support to organisations such as the Foreign and Commonwealth office, Thales Defence, Unilever and MoneySuperMarket. As always, we anticipate a high level of demand and will therefore allocate places on a ‘first come first served’ basis. We ask that just one person from each organisation attends. If you would like to bring a colleague then please confirm their details when booking your place, we will add them to our reserve list, at which point if a cancellation arises we will contact them to offer an additional place. The General Data Protection Regulations (GDPR) are coming into force on 25th May 2018 and now is the time to prepare! 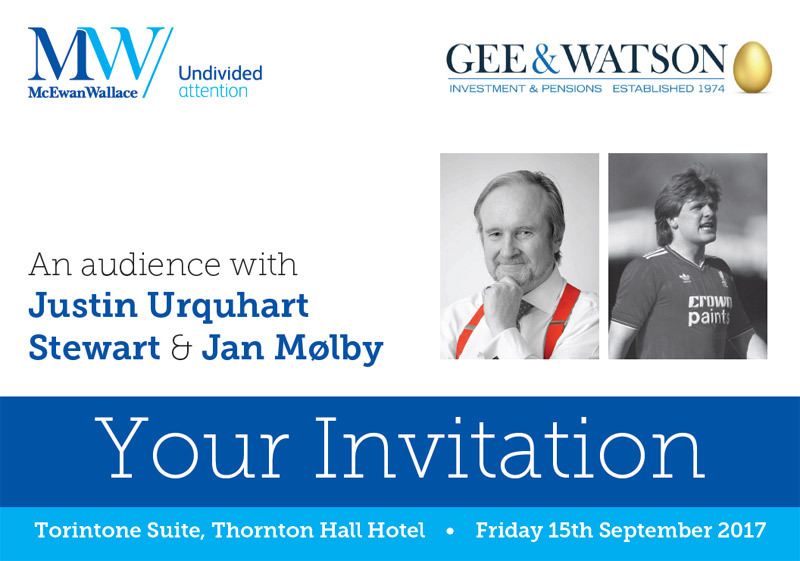 McEwan Wallace Accountants, NatWest Bank and Hillyer McKeown Solicitors would like to invite you to attend our lunch aimed specifically at the Not for Profit sector. There is no cost for attending. Join us for our seminar and networking lunch to learn more about what changes are coming under the GDPR, and what actions you need to take now to ensure you’re compliant with the new regulations. The lunch will be most relevant to CEOs and fundraising managers and, as with all our lunches, we limit the numbers to just 20 delegates. This ensures that the format of the lunch is as informal as possible, creating an open forum for discussion, debate and networking. The lunch is being held at Hillyer McKeown offices in Liverpool on Thursday 15th February from 12pm – 2pm and places are reserved on a ‘first-come-first-served’ basis. We kindly ask that just 1 person from each organisation attends.